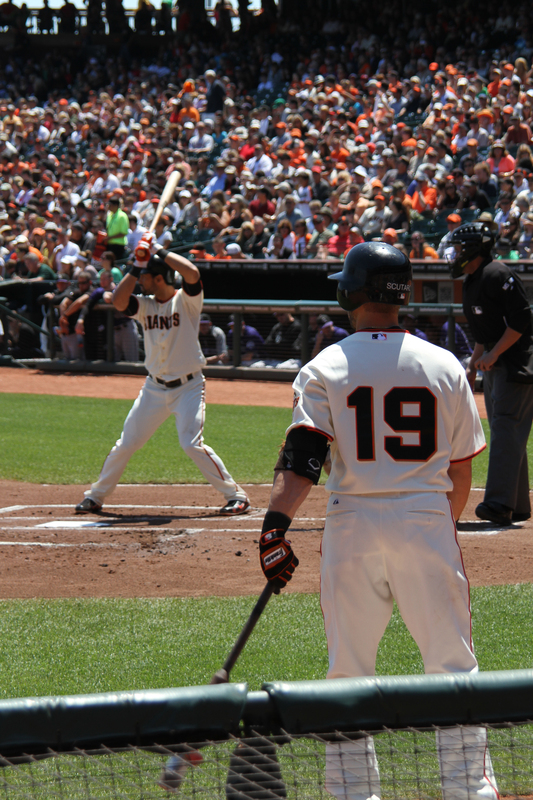 Sunday’s San Francisco Giants game against the Colorado Rockies was a bit of a nail biter. 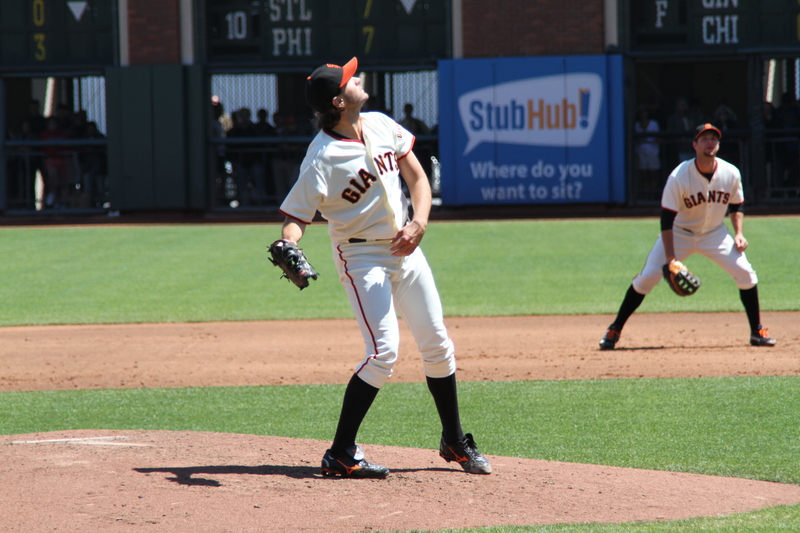 On one of the most beautiful Bay Area Sundays we’ve had in some time, fans enjoyed a somewhat explosive first inning… followed by six innings of sleepy offense. 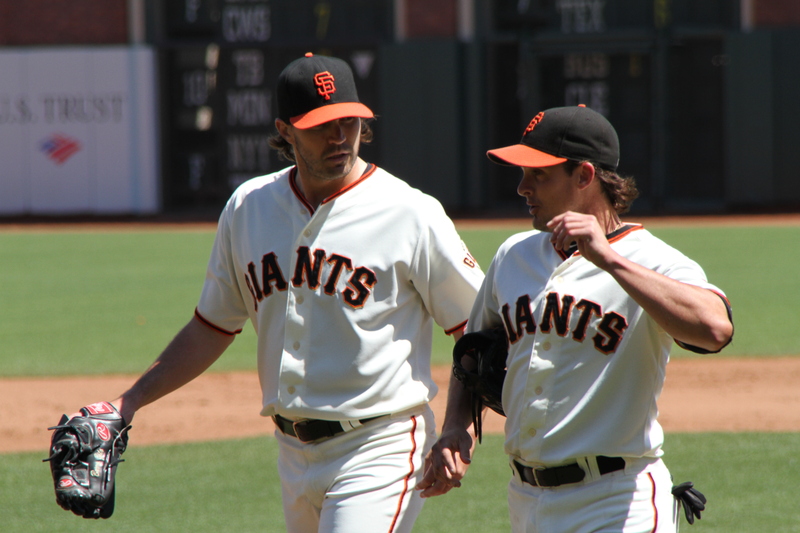 Barry Zito was… Barry. 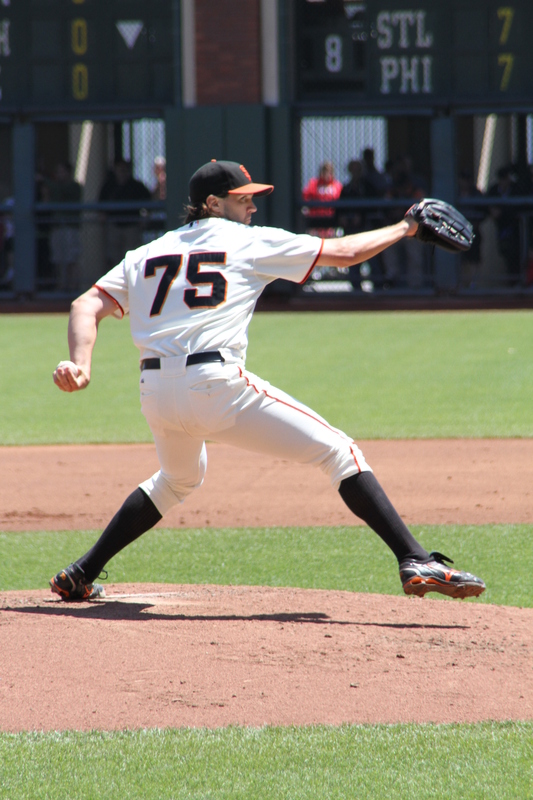 He blew a 3-0 lead in the first inning, and with the help of George Kontos and Clay Hensley the Giants were losing 6-4 by the start of the eighth. 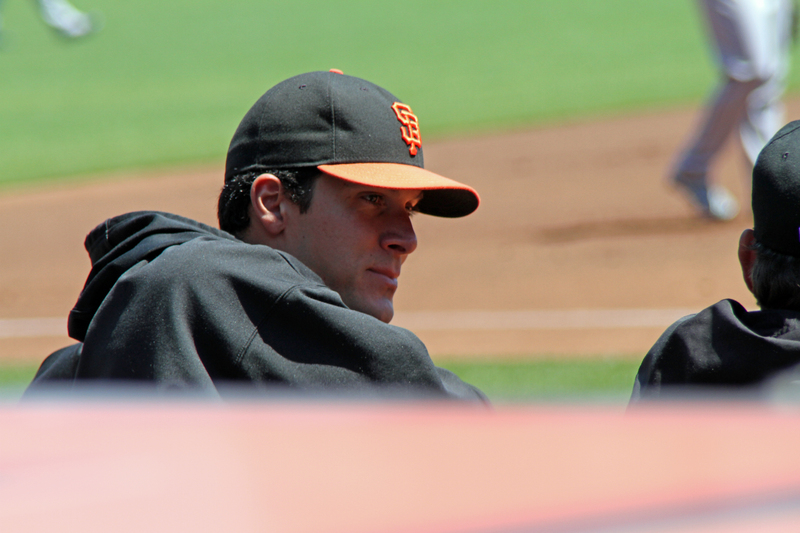 Don’t get me wrong, I am thrilled with Zito’s improvement this season. I could be a twitter hater — wringing my hands and gnashing my teeth about the size of his contract. But you know what? It’s a sunk cost. 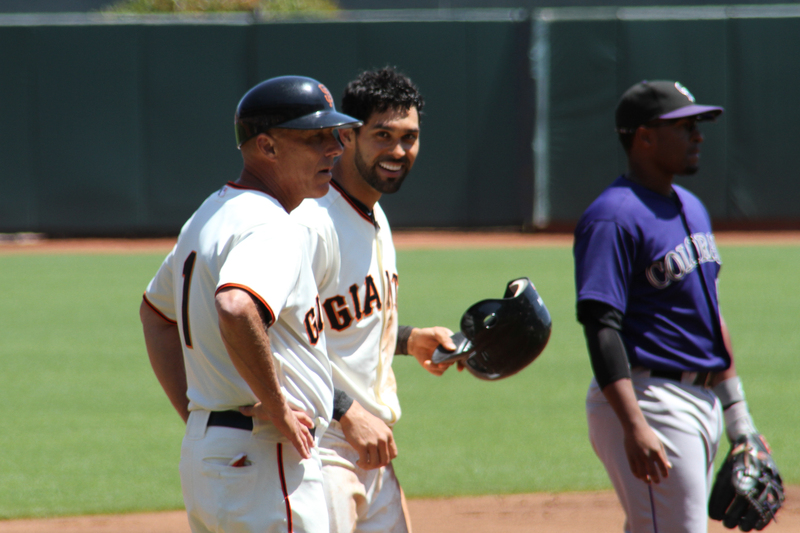 Why not just be satisfied when Barry gets a win, even if it’s largely thanks to Hunter Pence? Even better, let’s celebrate when he actually does well. Why the hell not? It’s better than the alternative! So you think we needed that, Barry? Did we really? My cardiologist says no. 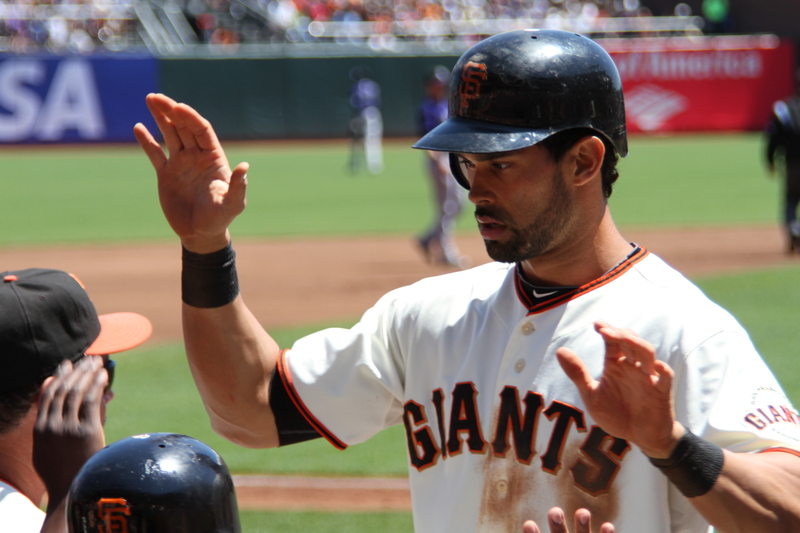 After all that torture, the Giants won 9-6 thanks to a three-run homer by newly acquired Hunter Pence. So far, I like that trade. 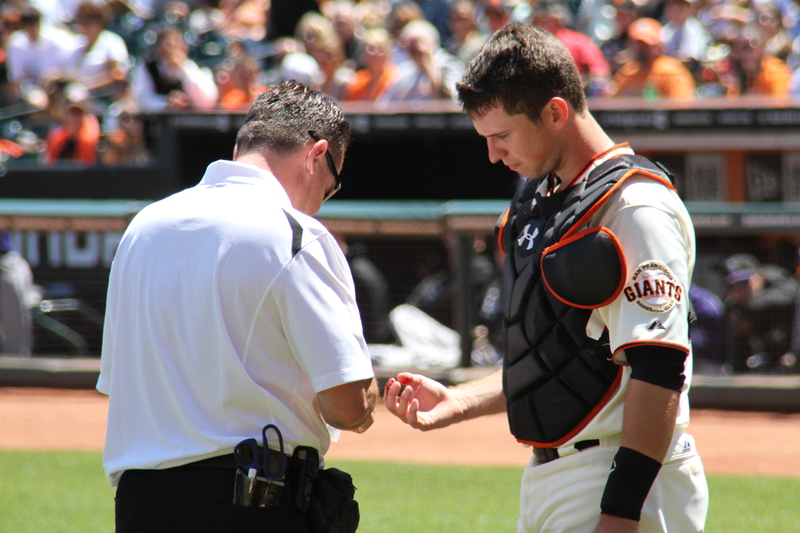 Buster Posey takes one for the team. Buster was BLEEDING! 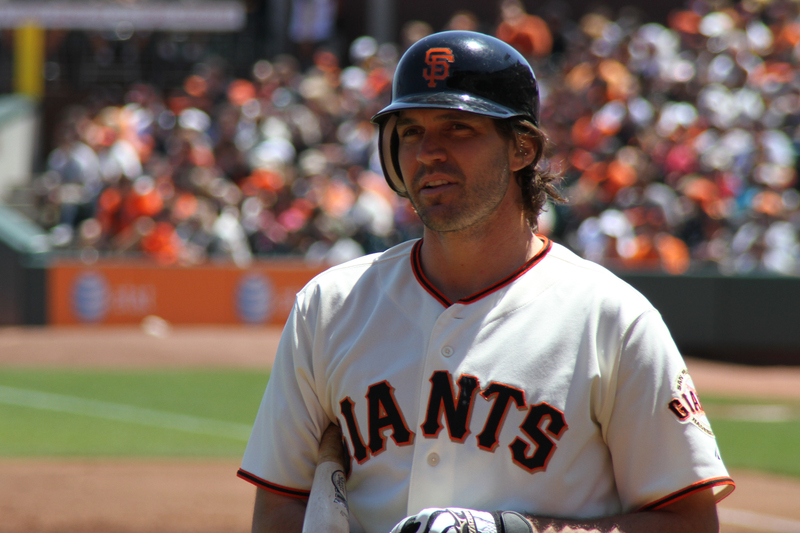 Barry Zito, looking fine for a guy who just blew a three-run lead. 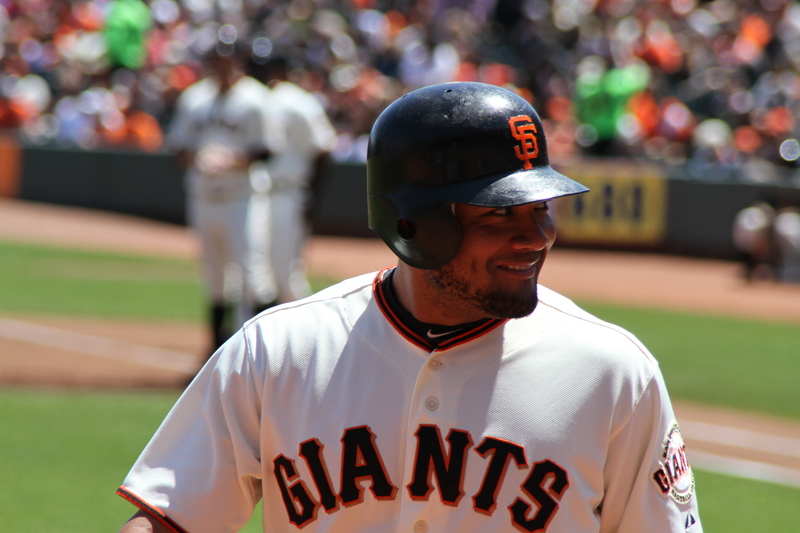 Angel is all smiles after stealing third. 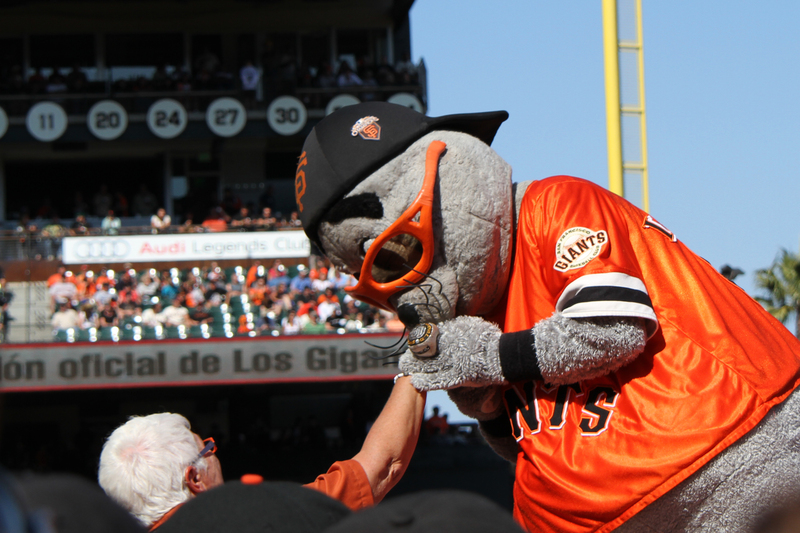 Lou Seal makes his move. He appreciates maturity, and I can respect that. 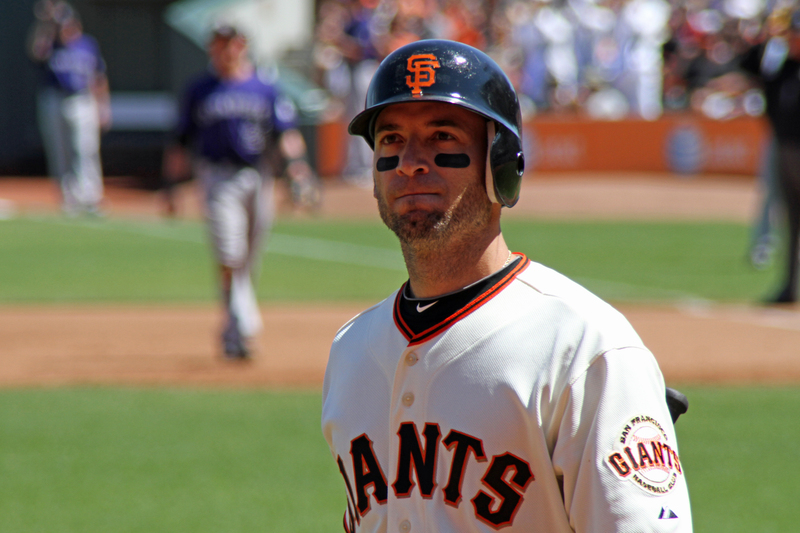 Javier Lopez. Adjectives elude me. 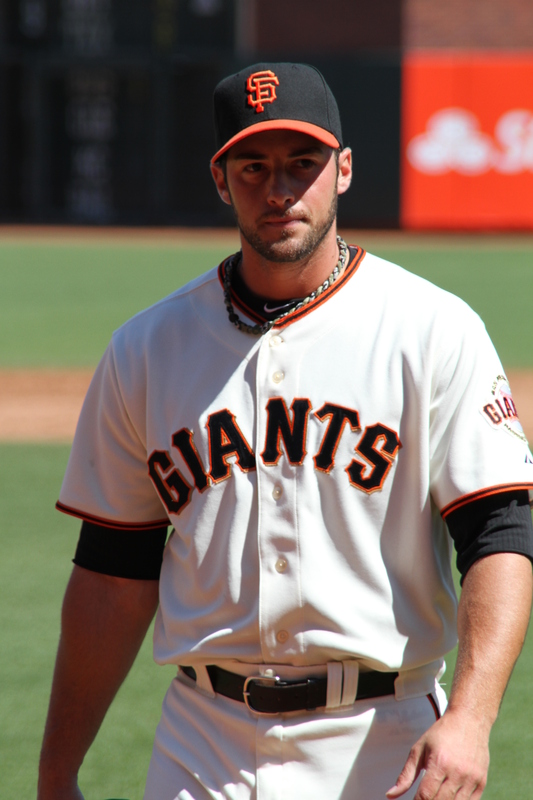 George Kontos. Eye candy, but not his finest hour. 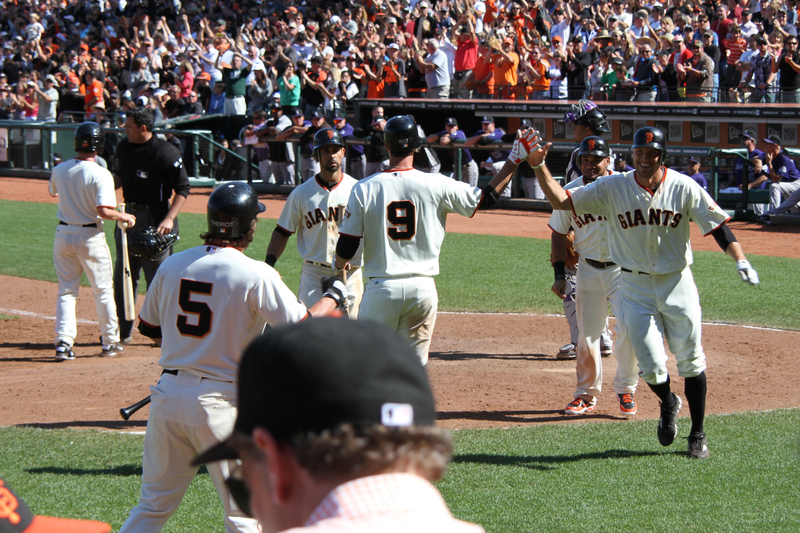 Hunter Pence crosses home plate after his three-run homer. He looks sorta happy!